QUẢNG TRỊ — A boat tour to Cồn Cỏ Island off the central province of Quảng Trị has been launched. 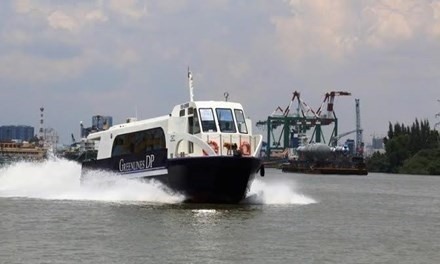 The tour, by a high-speed Greenlines DP C5, departs at Cửa Việt Port at 7.30am daily, and returns to the mainland at 2.00pm. The vessel can carry 50 passengers on the one-hour trip to Cồn Cỏ. The tour is free for travellers in April and will later have a fee of VNĐ250,000. Located 15.5km from the mainland, the 2.2 square kilometre island is home to around 10 families.